Conclusions of Levy Committee report made available by government. 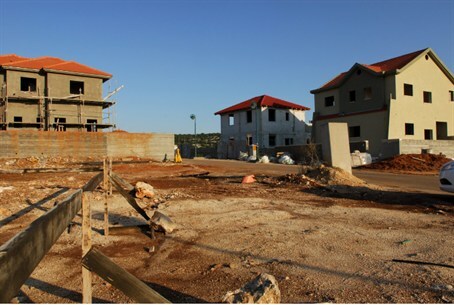 "Israelis have the legal right to settle in Judea and Samaria." "Our basic conclusion is that from the point of view of international law, the classical laws of 'occupation' as set out in the relevant international conventions cannot be considered applicable to the unique and sui generis historic and legal circumstances of Israel's presence in Judea and Samaria, over the course of decades. "Therefore, according to international law, Israelis have the legal right to settle in Judea and Samaria and the establishment of settlements cannot, in and of itself, be considered to be illegal." So begin the conclusions of the report of the Commission to Examine the Status of Building in Judea and Samaria, a legal panel headed by Supreme Court Justice (ret.) Edmund Levy. The committee goes on to say that, "With regard to settlements established in Judea and Samaria on state lands or on land purchased by Israelis with the assistance of official authorities such as the World Zionist Organization Settlements Division and the Ministry of Housing, and which have been defined as 'unauthorized' or 'illegal'" – administrative blockages imposed on the planning and zoning authorities "must be removed immediately." Pending completion of procedures granting valid building permits, the state "is advised to avoid carrying out demolition orders, since it brought about the present situation by itself." An English translation of the historic document has been made available to the public for download in .pdf format by the government, at this url.